It’s on the list. Girl Scouts, that is. Along with ice skating. And Camp Swig. And a few other things. My List of Life-long Regrets. That’s the name of the list. In my naïve youth, I thought it was important to live a life free of regrets. But regrets are only negative when they hold us back. Or cloud the past. Regrets can inspire growth. And new dreams. 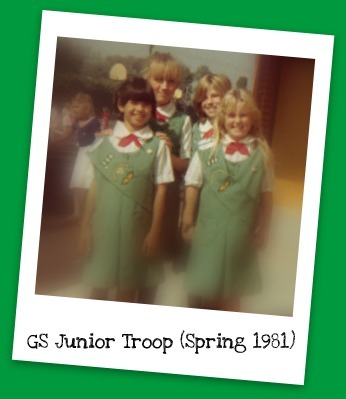 Today is the one hundredth birthday of the Girl Scouting movement. I was a Brownie. And a Junior. And…then I quit. Oh, the reasons were all legitimate. Our troop disbanded. I didn’t have enough time. And so forth. Why, oh why, did I not appreciate the value of staying with scouting? And how do I make certain not to live vicariously through Poppyseed? She must make her own mistakes decisions if she is to learn from them. WOW!!! I was a G.S., too–I LOVED IT!